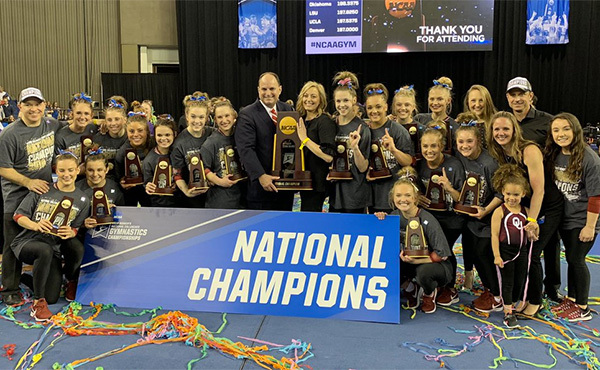 DOHA, Qatar, Nov. 2, 2018 – Four-time World and 2016 Olympic all-around champion Simone Biles of Spring, Texas/World Champions Centre, picked up two more medals on the first of two days of individual event finals at the 2018 World Gymnastics Championships at the Aspire Dome in Doha, Qatar. 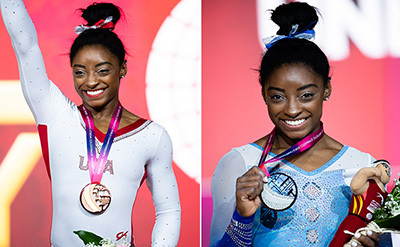 Both medals were a first for Biles: a World vault gold medal and a World uneven bars medal, a silver. 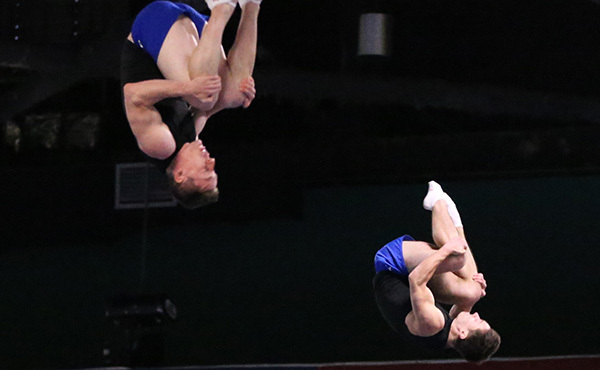 Competition wraps up tomorrow with the individual event finals on Nov. 3 at 4 p.m. Doha time/9 a.m. 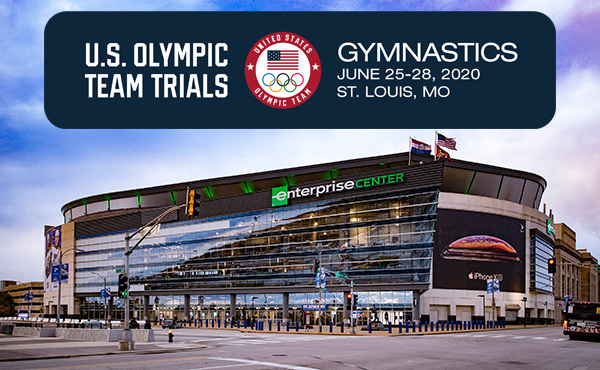 ET, which will feature Biles, Morgan Hurd of Middletown, Del./First State Gymnastics, Kara Eaker of Grain Valley, Missouri/Great American Gymnastics Express, and Sam Mikulak of Newport Coast, California/U.S. Olympic Training Center. U.S. fans can watch the finals live on olympicchannel.com and on the Olympic Channel. 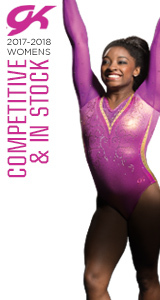 Biles claimed her third title of the championships with her vault average of 15.366. 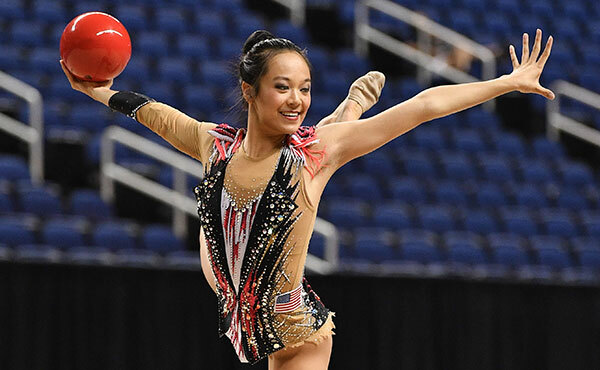 To grab her first World vault crown, she earned a 15.266 for her first vault, a Cheng, and a 15.466 for an Amanar. Second went to Canada’s Shallon Olsen (14.516), with Mexico’s Alexa Moreno in third (14.508). On the uneven bars, Biles posted a 14.700, to finish just ahead of Germany’s Elisabeth Seitz’s bronze score of 14.600. Belgium’s Nina Derwael was the bars champion at 15.200. Hurd scored a 14.433 for sixth place. Yul Moldauer of Arvada, Colorado/University of Oklahoma, just missed a floor exercise medal with his 14.566, finishing behind the bronze medal score of 14.600 of Carlos Edriel Yulo of the Philippines. Sam Mikulak of Newport Coast, California/U.S. Olympic Training Center, was seventh at 14.233. Russia’s Artur Dalaloyan won with a 14.900, followed by Japan’s Kenzo Shirai at 14.866. Mikulak had a solid set on pommel horse, scoring a 14.333 and finishing fourth. China’s Xiao Ruteng and Great Britain’s Max Witlock tied at 15.166, with Xiao getting the gold via a tiebreaker based on execution score. Lee Chih Kai of Chinese Taipei was third at 14.966. Greece’s Eleftherios Petrounias claimed the still rings gold medal (15.366), with Brazil’s Arthur Zanetti second (15.100) and Italy’s Marco Lodadio third (14.900). The individual event scores for Biles, Hurd, Mikulak and Moldauer are listed below. Biles: vault, 15.366 (1) (15.266, first/Cheng; 15.466, second/Amanar); uneven bars, 14.700 (2). Hurd: uneven bars, 14.433 (6). Mikulak: floor exercise, 14.233 (6); pommel horse, 14.333 (4). Moldauer: floor exercise, 14.566 (4). Floor exercise: 1, Artur Dalaloyan, Russia, 14.900; 2, Kenzo Shirai, Japan, 14.866; 3, Carlos Edriel Yulo, Philippines, 14.600. Pommel horse: 1. Xiao Ruteng, China, 15.166; 2. Max Whitlock, Great Britain, 15.166; 3. Lee Chih Kai, Chinese Taipei, 14.966. Still rings: 1. Eleftherios Petrounias, Greece, 15.366; 2. Arthur Zanetti, Brazil, 15.100; 3. Marco Lodadio, Italy, 14.900. Vault: 1. Simone Biles, USA, 15.366; 2. Shallon Olsen, Canada, 14.516; 3. Alexa Moreno, Mexico, 14.508. Uneven bars: 1. Nina Derwael, Belgium, 15.200; 2. Simone Biles, USA, 14.700; 3. Elisabeth Seitz, Germany, 14.600. 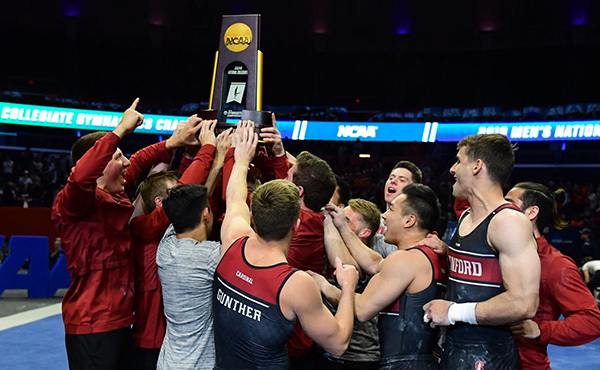 The last day of event finals features five events: men – vault, parallel bars, horizontal bar; and women – balance beam, floor exercise. The U.S. women and men competing on Nov. 3: balance beam/Biles and Eaker; parallel bars and horizontal bar/Mikulak; and floor exercise/Biles and Hurd. 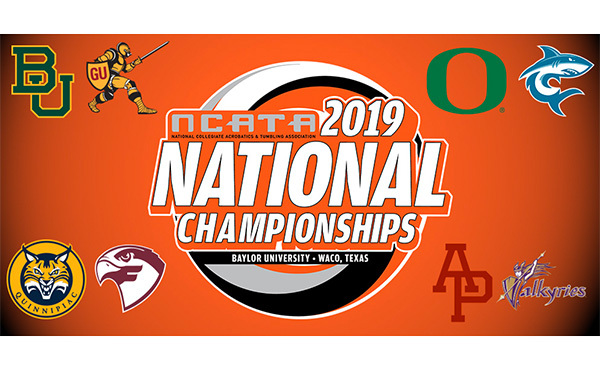 Live scoring is available on the International Gymnastics Federation’s website.